Before the iPhone 5c & 5s we have had just the B/W option to play with, but now we’ve a lot of colorful set of new iPhones! As you can see with my last shot on Dribbble I’ve decided to make this app more “environment aware” as it’ll have a different primary color depending on the color of the device it’ll run on. Of course the user could change it, but I think it’s a nice idea to give a predefined choice that match his taste. Too often I see that designers don’t think about how hard would be for a developer to bring their ideas to life, or even if they actually could. Well, I’m not that kind of designer, I always have in mind if my ideas can be developed and speaking of that I get you covered even on this one! Infact the device color could be taken by the app from model part number (more info here). 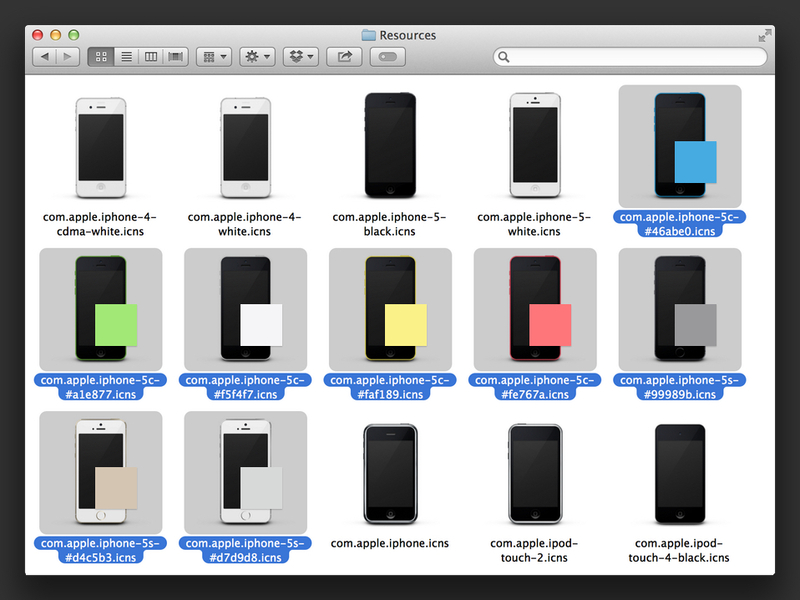 Okay, I’m not 100% sure if the new iPhone 5c & 5s would return the specifc color, but looking at what a bunch of folks have found on Mavericks DP8 (look at the first image of this post) I think it’ll be possible. Be sure to follow me on Twitter @jacopobassan and on Dribbble @jacopo to stay up to date with this!